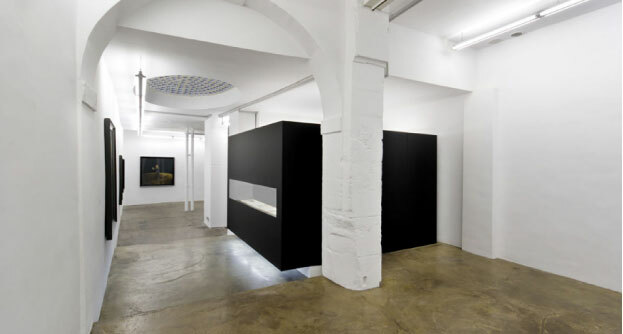 Patricia Dorfmann Gallery was founded in 1990. Since its opening the gallery has been a portal of creation and political commitment opening its doors to the large contemporary and international new art scene, by exploring new convergence in the international art market. All the artists represented by the gallery reflect the increasing connection of art and artists with everyday surrounding. The gallery has always followed a policy of nurturing artists through their careers, while acting as a primary dealer for their work. The gallery has always featured new work in a range of media, from painting and sculpture to photography, performance, installation, video and other electronic media arts. The Patricia Dorfmann Gallery has been involved in producing artists’ books and editions such as (Raphaël Boccanfuso, Yann Toma…). Currently the gallery represents twenty-five artists who have had significant shows and whose works are held in major collections nationally and internationally.